Note By Note re-aired August 2013. In our age of mass-production and consumption, what is the role of the musician — both an instrument's craftsman and its player? Musically, what have we gained? More importantly, what are we losing?The most thoroughly handcrafted instruments in the world, Steinway pianos are as unique and full of personality as the world-class musicians who play them. However, their makers are a dying breed: skilled cabinetmakers, gifted tuners, thorough hand-crafters. Note By Note is a feature-length independent documentary that follows the creation of a Steinway concert grand — #L1037 — from forest floor to concert hall. It explores the relationship between musician and instrument, chronicles the manufacturing process, and illustrates what makes each Steinway unique in this age of mass production. 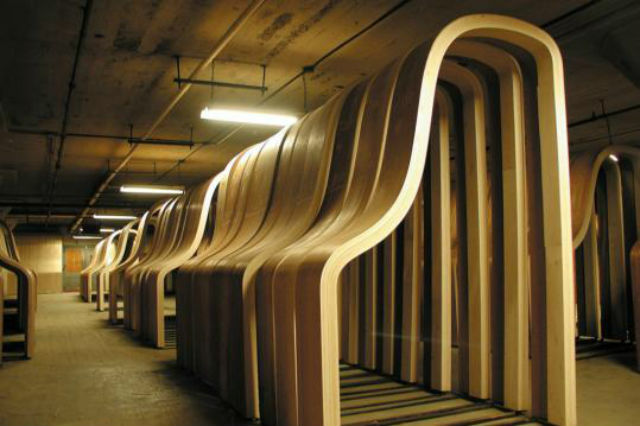 Pianos rest in the conditioning room for up to eight weeks to season the wood. From the factory floor in Queens to Steinway Hall in Manhattan, each piano's journey is complex — spanning 12 months, 12,000 parts, 450 craftsmen, and countless hours of fine-tuned labor. Filmed in key Steinway locations — the factory, Steinway's reserved "Bank," and private auditions — Note By Note is a loving celebration of not only craftsmanship, but also a dying breed of person who is deeply connected to working by hand. Richly cinematic and surprisingly emotional, Note By Note has found diverse audiences, both in America and around the globe. From musicians to wood-workers, educators to journalists, jazz-aficionados to indie rockers, the film brings together many interests in the themes it weaves. Historically, the film touches on the impact of the digital era on a stalwart business like Steinway. Artistically, it touches on the creative process as various artists select concert pianos for upcoming performances — each piano's attributes and nuances as discrete and intriguing as the next. Lastly, the film touches on musical themes throughout — weaving a common thread of emotion and delight in a carefully selected score that ranges from cartoon favorites "Tom & Jerry" to complex modern pieces performed by famed pianist Pierre Laurent Aimard. In the end, this is an ode to the most unexpected, and perhaps ironic, of unsung heroes. It reminds us how extraordinary the dialogue can be between an artist and an instrument — crafted out of human hands but borne of the materials of nature. Recommended for viewers of all ages, the film is frequently used in educational settings and for community events such as fundraisers or study groups. The website, http://notebynotethemovie.com/ offers additional information about various parts of the film, as well as interactive features such as "Piano Stories" where fans share tales of their own relationships with their Steinway. Note By Note was produced by Ben Niles. © 2015 Plow Productions, LLC. All Rights Reserved. Text and images courtesy of Ben Niles.